A close up 1913 Sanborn map view of the intersection of Myrtle Avenue and West Monroe Street. 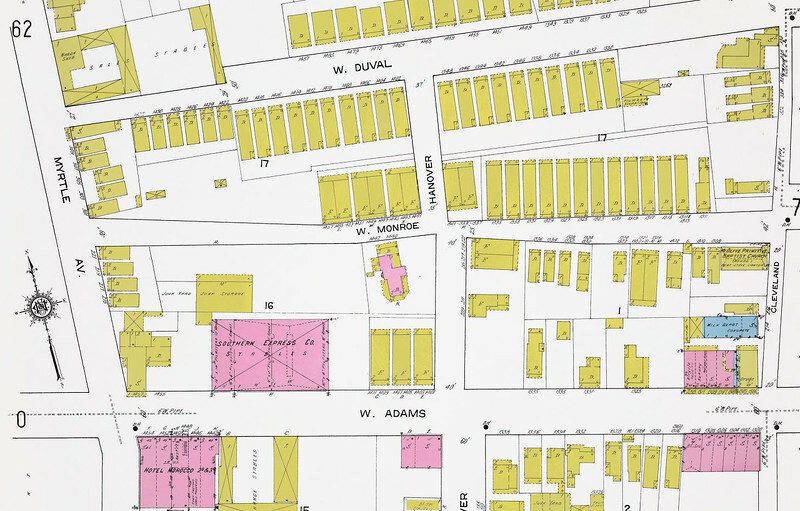 In 1913, the site was occupied by wood frame houses fronting Myrtle Avenue and a junk yard along West Monroe Street. The horse stables of the Southern Express Company face West Adams Street. Hanover Street is surrounded by several wood frame residences and one brick residential structure.